International Agency for Source Country Information (IASCI) is a non-profit non-governmental organization established in May 2004 under the laws of the Republic of Austria. We are politically independent, non-partisan and wholly impartial. IASCI’s core competence lies in migration management and development and field-based research/information systems. Our unique approach is that we take full account of both sides of the migration challenge: the challenge of capturing the development potential through facilitating successful circular migration, balanced with the challenge of maintaining adequate security. IASCI thinks outside the box. We find sustainable and meaningful solutions to key social issues by fusing migrant-centric, private sector and public stakeholder approaches. IASCI understands the business of migration. Our clients and partners gain marked efficiencies from the intersection of imaginative yet practical solutions, hands-on experience and agenda-free methodologies in three key related areas. In promoting circular migration, we work alongside countries of origin and destination, partner organizations, private sector and migrants to foster dynamic networks creating innovative solutions that maximize positive benefits for all stakeholders. For further information about this exciting area of our work, see What We Do. Our proprietary case-specific Source Country Information (SCI) data gathering methodologies have a 16-year track record of providing direct support to 13 European governments in their responsibilities of carrying out asylum status determination decisions in a more cost-efficient, timely, evidenced-based and hence confident manner. To learn how our clients have benefited from direct access to high value, factual data, see What We Have Done. IASCI has built a solid track record of providing related research and consulting support in humanitarian intervention and development sectors to our partners and clients. To learn how we helped improve our clients’ response capacity in changing environments marked by emergencies, migration movements or economic crisis, also see What We Have Done. IASCI has successfully carried out projects in every continent of the world. IASCI acts in line with the internationally accepted Best Practices in Humanitarian Information Management and Exchange. In the framework of the Global Forum on Remittances and Development 2015 Best Practices Awards for Innovations and Public Private and People Partnerships IASCI received a special recognition from the International Fund for Agricultural Development (IFAD) for its NEXUS Moldova Project, as a catalytic project supporting migrant to set and realize their migration goals from preparation to departure, during migration period, and to sustainable return. The GFRD Awards showcase innovative models and best practices that can contribute to strengthen the remittance market through replication and/or scale. “Awardees and runners up were chosen on the basis of innovation, but also on their demonstration of impact for development,” explained Pedro De Vasconcelos, manager of IFAD’s Financing Facility for Remittances. At IASCI, we work together as a multi-disciplinary, cross-cultural and international team, cooperating across geographical boundaries for a truly global operation. We draw upon the breadth and depth of experience and knowledge that each of our team members brings to the organization in order to strengthen our core competencies. Our team is committed to bringing value and quality to our partnerships and clients through our unique capacity. The Founder and Director of IASCI is Nicolaas de Zwager. He is responsible for the planning, management and oversight of all projects conducted by IASCI. He spearheaded the conceptualization of the NEXUS Global model and was instrumental in the development of IASCI’s field-based research and communication methodologies. Today he is Project Coordinator of NEXUS Moldova. Nicolaas has extensive experience in migration management and field-based information management, in both public and private sectors. He has worked in partnership with many international organizations, governments, private sector clients and other international actors. Prior to founding IASCI, Nicolaas was the Director for the International Centre for Migration Policy Development (ICMPD) from 1998 to 2004. 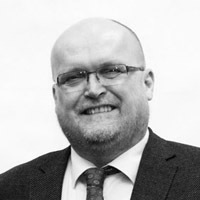 He provided strategic and policy analysis on migration policies, as well as establishing and developing the Source Country Information Systems (SCIS), an autonomous and self-financing department within the organization that provided migration management evidentiary support to 13 European client governments. Nicolaas also served as Chief of Mission for the International Organization for Migration in Kyiv, Ukraine from 1996 to 1998. Prior to this he worked with the United Nations as a consultant in the areas of economic development and integration. Earlier on in his career, Nicolaas spent 10 years in the private sector, identifying investment and market opportunities, and working towards joint ventures and technology exchange initiatives within the People’s Republic of China. Nicolaas holds a Doctorandus degree in International Economic Relations from the University of Amsterdam in the Netherlands and a Bachelor of Arts in Political Science and History from the University of Victoria, British Columbia in Canada. Ulrike Brüderle is IASCI’s Deputy Director and has been involved in the buildup of IASCI since its inception in 2004. In NEXUS Moldova she is Head of Finance and Administration. Ulrike is a senior expert in bilateral and multinational cooperation. Starting her career in the Foreign Language Section of the German Ministry of Foreign Affairs she gained deep insight and hands-on experience in international politics, diplomatic procedures and protocol. Ulrike also provided support to the establishment of a number of embassies and consulates of African Countries, facilitating high-level liaison with German ministries, federal and regional institutions and private sector. 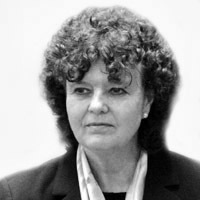 In the time of transition of the new Europe, Ulrike headed the Department of International Projects of the Agency of International Economic Cooperation of the Land of Baden-Württemberg, Germany, for over a decade, with a wide range of projects implemented in the Visegrad area and Poland as well as Asia, Latin America and Africa. Her projects incorporated innovative SME and industrial sector involvement, including global market leaders. Focal areas: private sector, infrastructure development, technology transfer, vocational training, and management exchange programs. Among others, nine revolving funds for private sector development promotion were created under Ulrike’s lead. To date 5,000 companies have been supported in four countries; equipped with finance, as well as competitive technologies and tailored training and ongoing support. Ulrike was raised in a family business in SW Germany. She holds a master’s degree in Applied Linguistics from the University of Heidelberg, was a DAAD-scholar at Lisbon University. 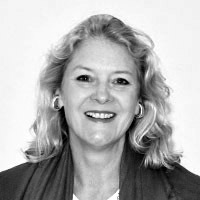 Ulrike has since specialized in organizational development, change management and monitoring and evaluation. Since 2009, as Senior Associate at IASCI, Francisca de Zwager has collaborated in developing and testing the NEXUS Global business model for providing migration-related services that offer practical solutions to help migrants achieve their own goals. As General Manager of NEXUS Moldova, Francisca engages all partners, and with her team of nineteen professionals her operational focus is on building and managing the market-oriented service provider that includes both the off-line pilot one-stop service centers in Cahul, Edinet, Ungheni and Chisinau and the online virtual service center. She contributes customer-centered perspectives and management principles from the private sector, as well as day-to-day operations leadership. Francisca is a professional business executive, entrepreneur/owner and consultant, with nearly three decades of hands‐on experience in linking international trade, development and marketing. She has built and managed successful businesses involving trade across borders. Her interest has been in developing and executing creative product plans and marketing strategies that add value to the international supply chain and result in win-win scenarios for suppliers and buyers alike. Operationally she enjoys forming, leading and managing multicultural teams. Francisca has served as an elected director on the boards of The Canadian Chamber of Commerce, Women’s Business Council, and other business-related boards in the Philippines. She holds a degree in law (LLB) from University of British Columbia and a Bachelor of Arts with major in psychology from University of Guelph (Ontario), both in Canada. Francisca is a global citizen and a migrant. Born and raised in Europe, educated in Canada, Francisca has lived and worked in Asia (mainly China, Hong Kong and Philippines) since 1985. She moved to Moldova in January 2013.